Hungry for challah? Then holler! 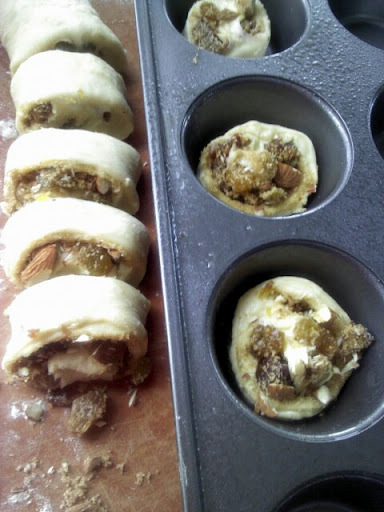 I just shared a few creations that I made from a batch of challah dough, and wanted to give you a more in-depth look at these Rolled Date, Golden Raisin, and Almond Challah Rolls. 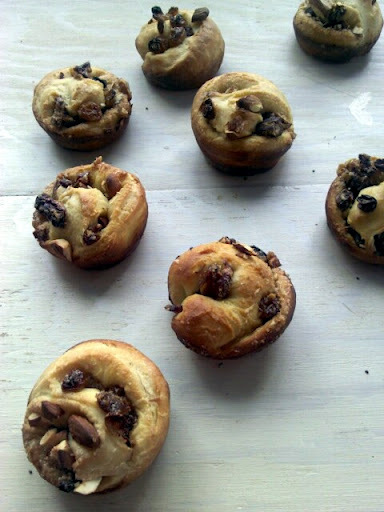 Think of them as a cross between ruggelach and cinnamon rolls. These are fun to make, sweet and sticky to eat, and freeze very well! 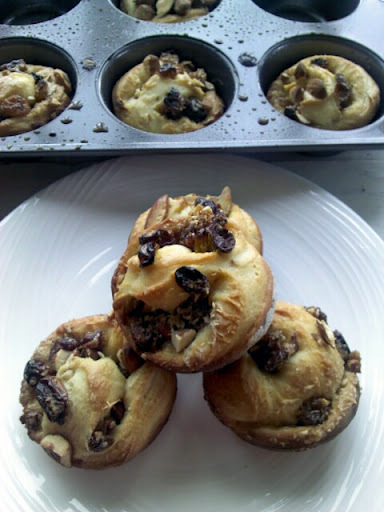 Feel free to play around with the filling ingredients, using your favorite dried fruit and nuts. 1. Preheat oven to 350 degrees. Spray a muffin tin with nonstick spray. 2. Roll the challah dough on a lightly floured surface into a rectangle. 3. 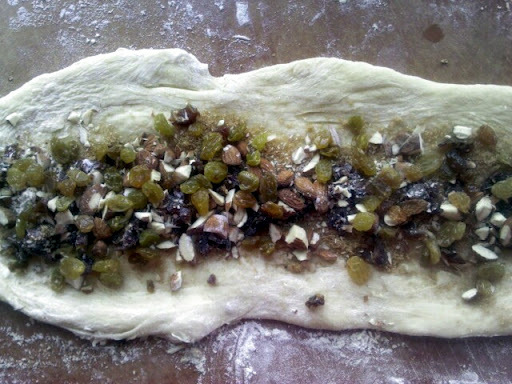 Spread the sugar, dates, raisins, and almonds in the center of the dough, lengthwise. 4. 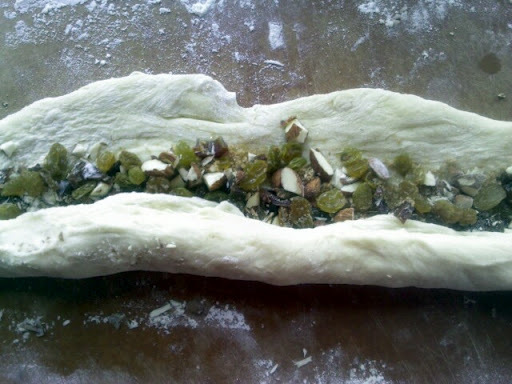 Roll the dough around the filling, tightly and pinch together the ends. 5. Cut the roll into 12 portions, about 1 1/2 inches wide. Place into the prepared muffin tin and rest for 30 minutes.